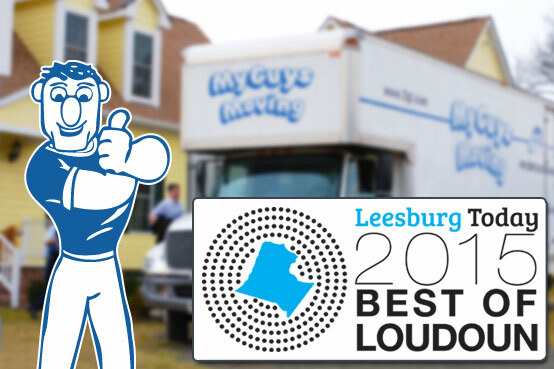 In the category of best moving service, My Guys Moving & Storage was selected as one of the top businesses in Loudoun County by Leesburg Today and Ashburn Today for the second year in a row. This year’s “Best of Loudoun” contest generated more than 100,000 votes from nearly 10,000 residents. The poll drew from a wide variety of businesses, ranging from real estate agents to wineries, teachers to places of worship. It is a truly comprehensive list of people, businesses, and organizations in Loudoun County, VA. Check out all the winners and runners up at the publication’s website: www.LeesburgToday.com. UPDATE: Nov 4, 2015 – The Loudoun Times-Mirror acquired Leesburg Today, and the special section did not get moved to the new location 🙁 Nevertheless, we continue to offer the best moving and storage services in Northern Virginia, Loudoun County, and the entire metro area! My Guys Moving & Storage will participate in the new “Best of Loudoun Bazaar,” to be held Saturday, March 21, at the Village at Leesburg. The event is planned from 10 a.m. to 4 p.m. with more details to follow as they are announced. The event is free to the public, and people will have a chance to meet local businesses and organizations. Hope to see you there!